Families love trampolines. They’re an excellent way to get kids excited about exercise. Parents are happy to see their children outside enjoying the weather, rather than locked away in their room playing video games. Occasionally, parents also enjoy trampolines. They’re great fun for everyone involved, as long as they’re properly assembled, maintained, and regularly inspected for signs of damage. You can’t set up a trampoline and forget about it. Before jumpers are allowed to hop on, an adult should always look over the trampoline for any signs of damage, and make sure the bolts are secure. Things like loose bolts or very visible damage are easy to detect, but other safety concerns may require a closer look and some serious consideration. At the end of the day, the enclosure net is really the only thing keeping a jumper from flying off. When bouncing or doing tricks on the jump pad, the enclosure net serves as a vital safety measure. 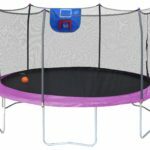 Rather than tumbling all the way to the ground with significant force, a jumper will bounce off the net and back onto the surface of the trampoline. This is a necessary protection that you can’t afford to go without. Make sure there are no large snags or holes that may affect the integrity of your enclosure net. Make sure the closure mechanism is in proper, working order and is always secured before the trampoline is used. A good enclosure net will also include padding for the areas around the poles, preventing bouncers from smacking against any exposed metal. If you can see the springs, you shouldn’t be using the trampoline. 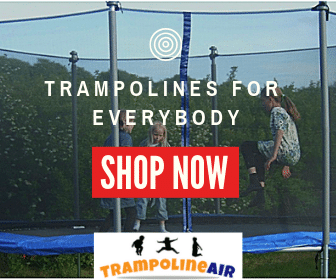 Trampoline springs are intended to be covered by a spring pad that will prevent the user from making contact with the springs, or falling through the area between the jump pad and enclosure net. These pads protect both the springs and the jumper. Legs falling through that gap or jumpers bouncing on a spring can cause severe injury. Never use a trampoline that is missing its spring pad, or a trampoline with a damaged spring pad. 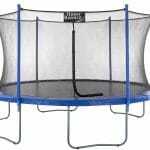 Sometimes, debris or toys that collect on a trampoline can cause small holes or snags in the jump pad. If the trampoline is used for an extended period of time and the jumper prefers one location for bouncing, that area will see more wear and tear than the rest of the jump pad, compromising its integrity. Since a jump pad is woven, all of the fibers need to be connected together to create a safe place to jump. Any small holes or snags can cause the fibers to become weak over time, making the trampoline surface uneven and less likely to properly rebound. Patches or duct tape won’t work to reconnect the fibers. A damaged jump pad needs an entire replacement. The worst enemy of metal is rust. Rust will weaken metal over time, and can ultimately cause it to snap. The frame and the springs of your trampoline are imperative for its safety. If you see any signs of rust, damage, or corrosion, you shouldn’t use the trampoline. 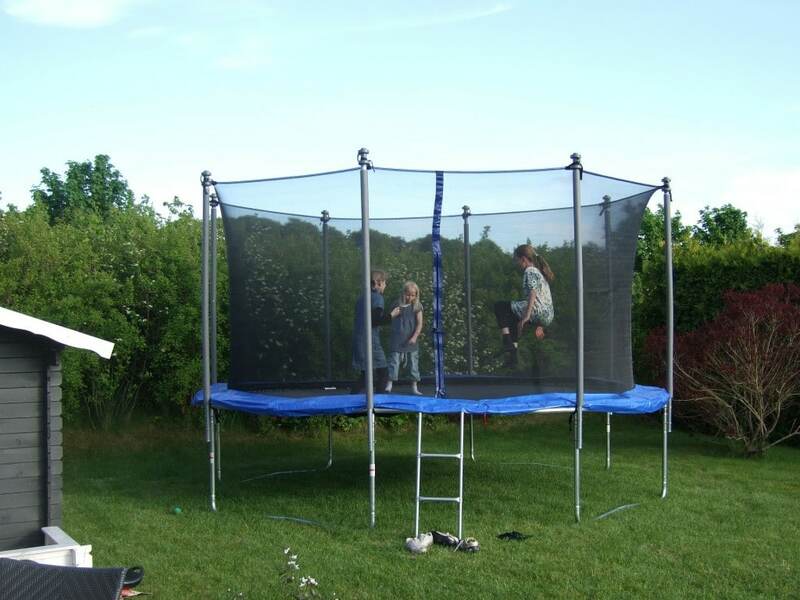 Contact the manufacturer to purchase replacement parts intended for your specific trampoline. Attempting to replace parts with things you found at the hardware store or parts that were intended for a different trampoline can cause larger problems! The majority of trampolines are made from rustproof steel, but lesser quality trampolines may have utilized vulnerable metals in their construction. A rusty trampoline has no place around your children, and scrapes caused by a jumper brushing up against the rusty spots can cause tetanus. Where is your trampoline located? For the safest experience, a trampoline should be placed on terrain that is entirely level. 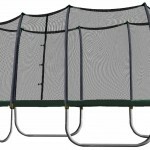 A crooked trampoline won’t be able to handle a jumper evenly, and half of the trampoline will become overtaxed from handling more of the weight than the other half. Bouncers will be more prone to injury if they have to land sideways, because they’ll have less control over their center of gravity. Your trampoline shouldn’t be located near any large obstacles, such as trees. You don’t want the open air around a trampoline to be obstructed by tree branches, which can hurt jumpers when they bounce high. Falling branches and tree debris can also damage your trampoline. A windy storm can lead to branches falling through the jump pad, or tearing the enclosure net. Despite all of the warnings you may hear, trampolines are perfectly safe as long as they’re well maintained. It’s important to follow the manufacturer’s assembly instructions, only use branded replacement parts, and regularly check your trampoline to make sure everything is in working order. It’s more likely than not that everything will remain in great condition if you’ve followed the instructions, but overall, it’s better to be safe than sorry.